Have you noticed HGV's thundering with speed through East Huntspill? Please let the Parish Council know, so this can be reported. We want this to STOP. Take a note of the registration number AND RING 101. Excerpt from Email to Parish Clerk .... we have rescheduled some of the ground investigation surveys that were due to take place back in March/April. Starting next week, our contractors will carry out two different types of surveys; boreholes and trial pits. As mentioned below, these are both detailed investigations of the soil and will tell us more about the ground conditions on the route and inform the detailed design of the 400kV overhead line and the temporary access roads for construction. They will also enable us and our contractors to produce more accurate forecasts and help to drive value for UK consumers, who will pay for the project through their energy bills. We will be carrying out surveys at 14 locations in the south of the route, three of which will be in your parish just north of Woolavington village. All being well, the surveys will take approximately five weeks to complete, but we will only be at each borehole location for two to three days, and at each trial pit location for approximately one day. will keep you up to date with road conditions during cold weather. • Find the Somerset Gritter account on www.twitter.com, by typing ‘somersetgritter’ into the site’s search facility. • There are 23 dedicated gritters and snow ploughs in the Somerset Highways fleet, five more lorries that can be adapted and five snow blowers. About 100 tractor-mounted snow ploughs can also be contracted. • To find out more about the Council’s winter road maintenance service visit the Snow and Ice page of the Somerset County Council website. • Updates about salt spreading will relate to the 870 miles of roads in the Somerset network that Somerset Highways treat as a priority. The Highways Agency is responsible for maintaining the M5, A303 and A36. SCC will inspect within 3 working days and assess the need for works. 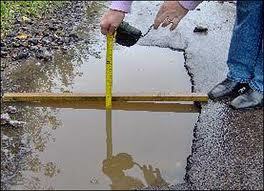 A pothole occurs when the surface of the road or footpath has been eroded and a hollow is formed. 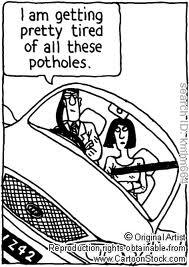 SCC repair potholes and other road defects to ensure safe access for all road users, and to maintain the structure of the road or footway in accordance with our Highway Safety Inspection manual. Real time travel information for Somerset & Dorset. The reason that East Huntspill and Woolavington require a weight restriction is to stop the B3141 being used as a “rat run” by heavy goods vehicles. 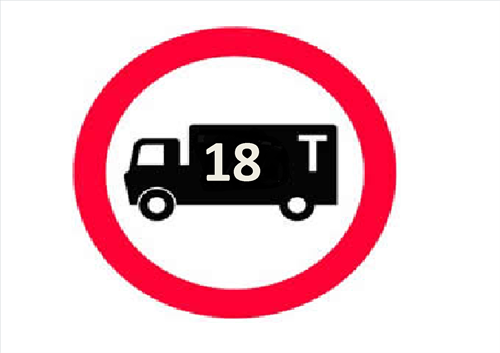 The permanent HGV weight restriction is due to be implemented by SCC in the next few months. The weight restriction will be based on the experimental order and a list of property exemptions. The link below is for Road Traffic and Travel Information.